Biteg.xyz referral spam is the PUP that uses misleading techniques to prevent removal. Use Reimage to locate malicious components and get rid of them faster than with uninstall instructions. A full system scan blocks virus reappearance and prevents traffic to malicious domains. Biteg.xyz referral spam is a type of fake traffic that appears in your Google Analytics, which is also frequently identified as “ghost spam.” It doesn’t damage your website in any way but also doesn’t add anything useful because the website that is presented as referrer doesn’t actually drive traffic to your website. It is quite new and confusing way to attract traffic to websites that belong to an infamous spammer known as Vitaly Popov. He is a creator of such bogus sites such as ilovevitaly.com, o-o-8-o-o.com, lifehacĸer.com and Secret.ɢoogle.com. The spammer seems to be obsessed with the idea to smash Google’s popularity into pieces. 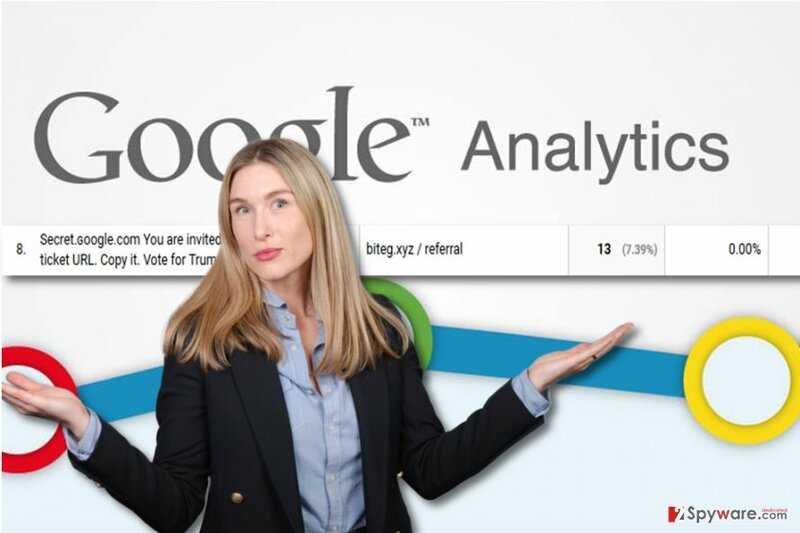 The scammer has discovered a way to insert fake referral URLs into webmasters’ Google Analytics to make people think that certain website is driving traffic to their sites, while in reality, they do not deliver any additional traffic. The point of injecting such fake data into Google Analytics is that people are curious and most likely they will click on an unknown domain that ostensibly drives traffic to their websites. This way, the spam imitates traffic while it actually attracts it to a particular website using Google Analytics. In this article, we will describe how can your remove Biteg.xyz referral spam virus and make your Analytics data accurate again. Biteg.xyz referrer spam is bad because it prevents you from seeing actual statistics, which can result in bad decisions regarding your site’s improvement. It is a well-known fact that fake traffic is generated by bots meanwhile real traffic comes from people who actually visit your website. Referral spam can be recognized from 100.00% indicator in bounce rate and new sessions fields. If you noticed suspicious new sources that unexpectedly started driving traffic to your website, do not rush to click on them. These URLs can be dangerous, and you might end up installing a dangerous spyware or malware type program on the system. Therefore, if the suspicious URLs started emerging in Google Analytics, do not waste any more time and use the removal tutorial provided below to remove Biteg.xyz referral spam immediately. Biteg.xyz referral spam is very annoying, but the traffic that it fakes doesn't affect your website in any way. If you had a chance to encounter referral spam, you probably want to know why did you become a target. The reason why people become targets is simply spammers’ greed to make money in quite unfair ways. Once you click on the link in your GA, you will reach a website controlled by a spammer. Most of Vitaly’s websites cause redirects to AliExpress or Alibaba websites, and once you buy something there, he gets a commission. You can also experience redirects to dangerous websites. Therefore, we recommend you to ignore shady URLs that mess up your GA data and take actions to remove Biteg.xyz spam from it. The guide provided below explains how to block Biteg.xyz referral spam so that it would never emerge in your Analytics reports again. Follow the steps carefully and do not make mistakes such as creating a referral exclusion list. The guide we prepared can be used to remove all kinds of Google Analytics spam. You will need to create a filter for ghost spam, crawler spam, and filter for other spam types, such as language spam. First of all, find a list of your hostnames. Go to Network Report and select Audience. Then click on Technology to see hidden options and select Network. Click Hostname next to Primary Dimension section. Then, make a list of all important host names provided there. Do not include websites that you do not control, for example, bbc.com or google.com. Include only those that have added tracking code. 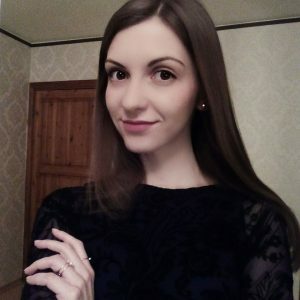 Examples of such websites can be Youtube, Bing Translate, Paypal, etc. Don’t leave any spaces. If you want, use this filter in a test view for a few days to be sure that you’re not losing any valid data. Go to GA > Admin Tab. Choose a view where you want to enable the filter. Under the View column, select Filters and click + Add Filter. Entitle the filter as Valid Hostnames. Choose Custom for the Filter Type. Select Include option and then Hostname. You will see a Filter Pattern box, and this is where you need to enter the list of valid hostnames you created. Save. Do not forget to update the list whenever you add tracking ID to new domains or services. Go to Admin Tab. Under VIEW column, choose Filters and click +Add Filter. Entitle it as Crawler Spam. Choose Custom Filter type and opt for Exclude. In Filter Field, choose Campaign Source. To create a filter for Language Spam, see a tutorial provided in a post about Secret.ɢoogle.com referral spam. An alternative Byteg referral spam removal guide can be found here. ^ Referer spam. Wikipedia. The Free Encyclopedia. ^ Joseph Cox. 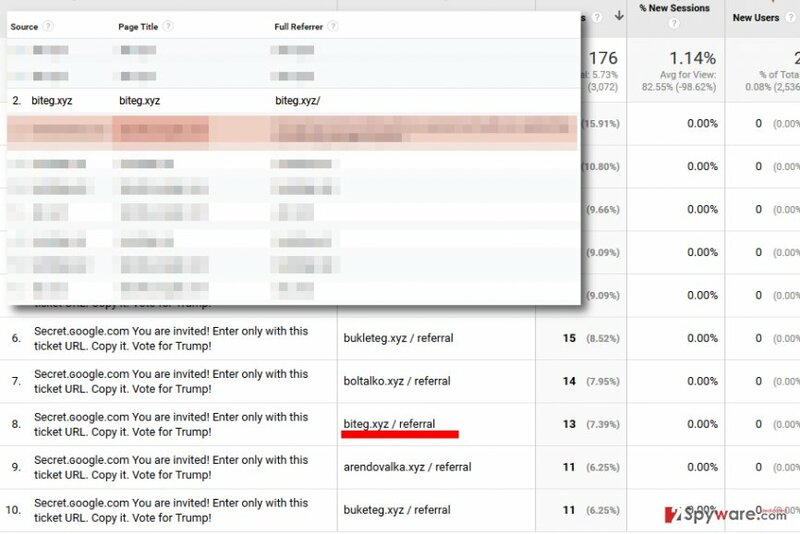 This Russian Is Spamming Google Analytics to Show His Support for Trump. Motherboard. Multi-Platform, Multimedia Publication, Relying on Longform Reporting, In-Depth Blogging, and Video and Film Production. ^ Google Is Battling a Russian Spammer Over the Use of the Letter 'G'. Motherboard. Multi-Platform, Multimedia Publication, Relying on Longform Reporting, In-Depth Blogging, and Video and Film Production. ^ Dave Buesing. What To Do About a Fake BS Surge of Google Analytics Visits. Dave Buesing website. SEO, Online Marketing, and General Writing Thoughts. ^ Georgi Georgiev. Google Analytics Referral Spam Explained in 5 minutes – Infographic. Analytics-Toolkit Blog. Blog for Web Analytics, Statistics and Data-Driven Internet Marketing. This entry was posted on 2017-05-04 at 01:58 and is filed under SPAM tools, Viruses. You can quickly scan the QR code with your mobile device and have Biteg.xyz referral spam manual removal instructions right in your pocket. How did you remove Biteg.xyz referral spam?